Good news on the Velocity award space front! Virgin seem to slowly be releasing Velocity award space back into inventory for booking. On the Sydney – Abu Dhabi route there is Premium Economy and Business Class space on most dates the flight operates until late January, a gap (which I believe is when the 777 reconfiguration is probably taking place) until March when it’s readily available again. On the Sydney – Los Angeles route there are a couple of flights per week, usually on Wednesday and Thursday, sometimes on Tuesday, with both Premium Economy and Business Class space, but only from mid July 2016 onwards. This is probably timed with the introduction of the reconfigured fleet on the route. So it looks like Virgin and Velocity are putting some certainty back out there with award availability again – a good thing. It’s not quite as available as it was before the availability restrictions kicked in in August – but it’s not bad. The best way to search availability across multiple dates is via a Delta.com Skywards miles account. Look at partner awards across a 5 weeks period, and look for the non-stop options – these will be Virgin Australia operated flights, and availability should match across to Virgin Australia’s site. I don’t normally like publishing speculation as news, but there’s definitely something odd going on right now in the way Velocity are managing their Australia – to US reward seat inventory for Velocity members, and partners like Delta. Looking for availability from late this year through to the end of the booking calendar in 2016 offers virtually no availability in Business Class on either of the Sydney or Brisbane flights. I’ve lauded Velocity just recently for their excellent availability as one of the selling points of their program, and they proudly proclaim they have two awards for their reward seat and redemption ability – so this needs your attention if you’re engaged in Velocity, and their attention to do something about it. 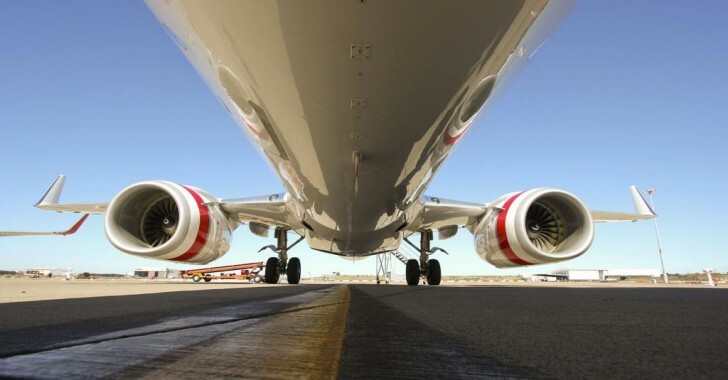 Virgin flies to Los Angeles from Sydney and Brisbane directly on a daily basis. I’ve been through both Brisbane and Sydney to Los Angeles flights, both ways, and noted the dates for which Business Class is available using Velocity points – for 1 passenger. This Google doc shows what’s available in both Business and Premium Economy, as of midday 27th August, and of course availability can change. This is in contrast to just a couple of weeks ago when you could find several seats on many days into the future, and to the end of the booking calendar. This is almost definitely related to the reconfiguration of their 777 and A330 fleet to their new Business Class product which is underway and should conclude by March or April next year. In the A330 that has the Business Class cabin being reduced by 8 seats, down from 36 to 28. In the 777 though, capacity in Business increases by 4 seats. The uncertainty around timings of new aircraft on the route seems to be playing a part in them holding back Business Class availability to Velocity members. The lack of availability goes on well past April, which is when the reconfiguration is to conclude. Finally I’ve also heard rumours of new processes between the airline and the loyalty program for releasing award seats, which may affect the dates at which award seats appear available to booking for Velocity members. As this isn’t confirmed, it’s not possible to say whether this is causing an impact. What is Virgin’s position on this? Informal communications between a few different Velocity members and Velocity that have been relayed to me have indicated that front-line staff have very little knowledge of what’s going on, with a standard response of ‘award availability is always limited but can also change’ coming back. We are currently seeing strong demand for Reward Seats from the East Coast of Australia to Los Angeles which affects availability. The reconfiguration of our Boeing 777 aircraft, which will be fitted out with new Business Class suites, a new Business Class bar and an enhanced Premium Economy cabin, is also due to commence in the coming months which also affects Reward Seat availability during the reconfiguration process. Any ideas on what’s going to happen? Reading that quote in absolute terms we can hope that it’s temporary and award availability will be sorted out in due course once details of the reconfiguration plan are bedded down. Having said that, and given the new configurations have fewer seats in Business Cabin, there’s a strong chance that Velocity’s redemption availability across the Pacific has been permanently affected – probably not to zero seats, but at a level that’s not yet clear. The biggest problem right now is the lack of certainty. With Velocity acquiring members with large points balances through lucrative signup bonuses, not following through with some of the ‘hero’ awards available on their network is a problem. Virgin I think should communicate better about this to anyone who asks ‘where’s the all award availability gone between Australia and the US’ – at the least with some details on when they hope to have the new normal back up online for booking. It’s also worth mentioning that there’s been no effect on domestic availability at this point that has been noticed. I’m not suggesting anyone should panic and empty their Velocity accounts – far from it. This is more a call out to Velocity and Virgin to let them know they have their best customers concerned. If you see a date with availability in the list above that works for your travel plans, and you have the points, I’d consider booking it. I wouldn’t book speculatively or just for the sake of using your points, although Velocity’s award cancellation policies are good – $60 dollars per person and a full refund in points. Any and all members who have or had a booking in mind which they can’t get hold of should actively communicate any frustrations directly to them. And comment here, I’ll be sure to send a link back over to Virgin in a few days, who will hopefully pass on to Velocity with your opinions. I’d also suggest written communications instead of the phone in this case as it provides an audit trail of how many people this is affecting. Anyone with any more background info on this can contact me using the help function on every page of the site. Hi Keith – Happy new year. 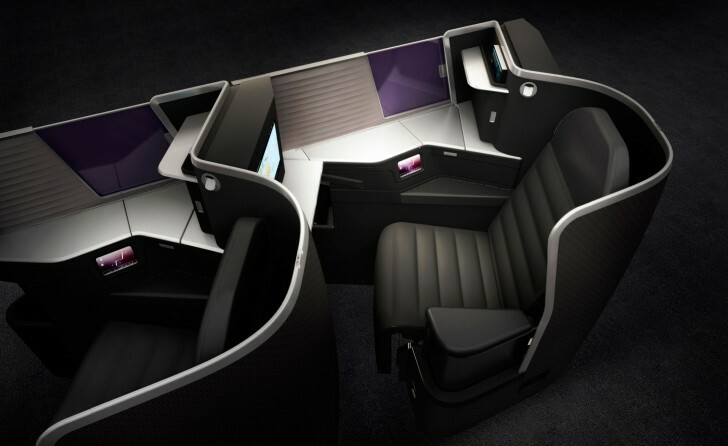 Have you got any updates on business class award seat availability and the direction Virgin is taking? A data point for you: I just got off the phone with the Velocity booking line and was told there is no availability for all of March and April, on all routes and carriers (including via SQ). Hey David – no updates, but I’ll kick off some research again and see what the current state of play is. I don’t believe thee’s zero SQ availability for two full months though, that seems extreme. Hi Keith….In checking today on Delta’s US site for flights LAX-BNE/SYD, there is no VA business class availability to Skymiles members whatsoever through the end of the schedule. The space disappeared in the northern summer and has not returned. This had been really the only readily available FF premium cabin award space from the US to Australia. I don’t know that this is any indication of what VA is releasing to its Velocity members, but currently they still do not seem to be releasing premium cabin space to DL flyers, meaning it’s almost impossible to get from the US to Australia on points up front without transiting Asia or the Middle East. Hey Adam – thanks for the heads up. Might have to do another pass across all dates. see what’s available again, and see if there are any new trends for VA award space. See – I did say the sky wasn’t falling in when you raged about the award seat disappearance (when I stated at the time was more than likely due to the pending reconfigure of VA’s international birds, with them trying to work things out). Not sure why you felt the need to delete that post without so much as a heads-up (rather rude I thought, just because it didn’t join your torch fire article in unnecessary condemnation of VA). I didn’t delete that post – it’s above. Or do you mean I deleted your comment? I don’t remember doing so, and if I did, apologies, I don’t remember why. I don’t read my original piece above as being a ‘torch-fire’ or see where I ‘raged’. I try to remain pretty factual here, and what I said is backed up by facts – award availability went from being very good to very poor in a short space of time. I don’t see why you would rather they didn’t communicate when they are working on something that affects your ability to redeem points. I note my comment – which advocated calm – was the only one deleted a couple of days after it published on that article while the ones that joined your article in anti-VA commentary still remained (your implied suggestion that the award seat drought was some sort of intentional undermining of the value of the Velocity program feels rather touch fire rage to me – particularly since you state “so this needs your attention if you’re engaged in Velocity, and their attention to do something about it” which suggests something similar to your get out and complain piece with Citibank). I was disappointed by that decision to delete without notice (especially since it was done just after giving you a referral credit on the VA discount booking article, done because I had a good opinion of Point Hacks that is somewhat marred now by that deletion), I wouldn’t have expected a suppression of views (particularly one that has since turned out right) just because it wasnt in lock-step with yours. I’ve commented on many Point Hack articles over time, but that comment was the only one that “disappeared” later (and given it was a very mild post, with no inappropriate laungage, just a suggestion to wait a little before getting over-wrought, there was no valid reason for it to be removed). Given this reduction in award availability – which applied to only a small portion of VA’s flights for reasons that were fairly self-evident given some basic research (upcoming international long-haul fleet reconfiguration, putting things in flux) – for somewhat less than two months (given award availability started trickling back earlier) did it need a communications program? Qantas dries up award availabilty in certain routes for various periods all the time with no announcement (premium award availability can be light at the best of times), yet no comment there. Award seats are never a certainty, and given the circumstances, this temporary absence was nothing to get het up about. But I appreciate the apology given now for that earlier action. As I said in that deleted post, the long haul international fleet reconfiguration was always likeky to lead to some temporary restrictions on award availabilty while they tried to figure out the way forward (to redo the maths given the changes, and to readjust paid seat demand forecasts given the enhaced product which in turn changes optimal award seat numbers). That’s why, when the reconfiguration was first given a date, I locked in an award booking for the furthest dates available in Velocity (because it was always highly likely at that point, there would be a temporary restriction on award seats – even a possible increase in point cost). I went looking for your comment in the site backend last night as I was curious to see why I might have deleted it. Can’t find it anywhere – spam/deleted etc. I know you’ll to take my word on that, but it’s rare I’d delete a comment. I complained directly to head of velocity about this issue early in 2015 and was told that the availability of ‘business class rewards seats’ were commercial in confidence and would not be disclosed. I countered that they are publicly available online (if you can be bothered searching every combination or routes & days) and was then told that Virgin intend to implement a system to search for ‘business reward seats’ online – nothing has happened as of yet. It’s evident this policy exists to hide the incredibly low number of seats available across the network – for whatever reason. If you email or call, the consultants will only search the combinations you give; they wont sit there and search the network for you. *As a side note, when I joined in 2007 a Business Class Reward Seat (Mel – Lon) was 88,000 each way – now they are 800,000 each way. Hi Keith – do you know the current situation for the Sydney – Abu Dhabi leg. We – 3 in the family – have booked and paid for Flexi fares in June 2016 and are trying to get an upgrade to business class. Velocity are saying the upgrades haven’t been released yet and for us to keep checking which we are doing daily. Do you know whether this is normally the case and if so how far out from the flights do they release the seats? Just updated this article – funnily enough availability opened up a lot just today. Get in there now while you can. Thank you for this information. We have been searching for VA flights Syd-LA for weeks with no luck, even 11 months down the track. We booked 4 business class reward seats in 2013 with no trouble and have since accumulated 1 million + points to do it again and cannot even get 1 seat, it’s ridiculous. Everything else I have read says that VA are growing the size of the 777 J cabin by four seats – not reducing it as suggested above (they are significantly reducing the W cabin on the 777 and reduced the size of the A330 J cabin by four). You’re right. I’ll update the post. FINALLY I have some answers! I have been asking this question to every velocity call centre staff I have spoken to over the last 3 months – today, I even tried Facebook messaging. The reason I joined Virgin was for the international upgrades with points (in particular for BNE-LAX)…so far I am just disappointed. I made silver in 2 months, will be gold by the end of Sept and Platinum most likely early next year – seriously considering swapping to Qantas. Such a downer! I hope this gets resolved soon, Velocity will just hear more and more stories like this until they do. Did you create that google doc of availability manually or via some kind of interface/script? When we’re talking the award seats does this include paying economy and upgrading to business with points? I’ve got an LA trip coming up and having done this flight before I really want business. Is it also worth me calling for the booking if I want to see if I can upgrade before paying the flexi fare? Obviously I won’t bother booking Virgin for a business class flight if I can get it elsewhere. Hey Zane! I don’t know how Velocity pull upgrade seats into inventory for members to redeem for – ie whether upgrade and outright award inventory correlate. Best to give Velocity a call for your dates to see if they can offer the upgrade for that flight. You’re Velocity Plat from memory, right? That may well help from what I’ve heard. Your on the money, I go platinum about 3 times a year as I fly a lot domestically and international flights. I am now looking at flying more on Qantas so I can reach their top awards level as I am getting less value each year from Virgin.